TOTS. I mean, who doesn’t love a good tot?! 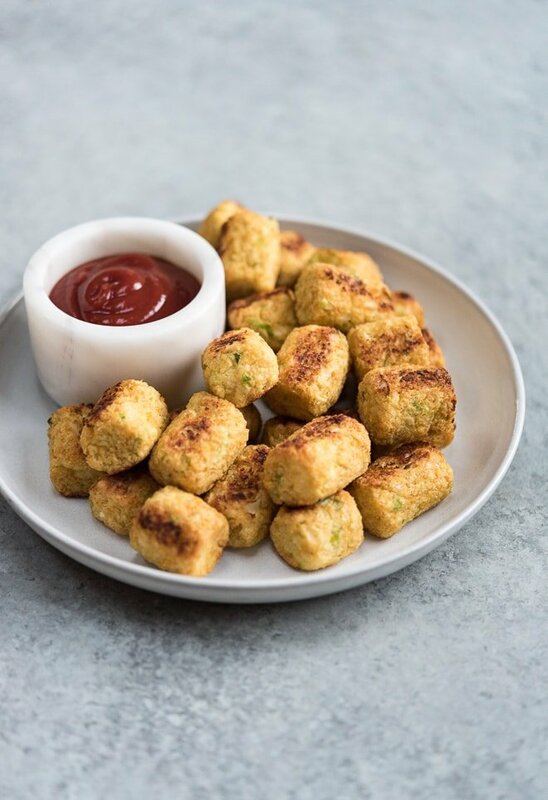 Today I’m sharing these Easy Cauliflower Tots because they’re perfect for everything. Game day, dinners and more. I know it might sound weird but I’ve always wanted to make these and for some reason never have. But let’s clear the air here. These are NOT going to taste like or have the same texture as regular tater tots. Because they’re made of mostly vegetables, they’ll be slightly crispy on the outside and soft in the middle. And these are baked, not fried which is always a plus in my book. 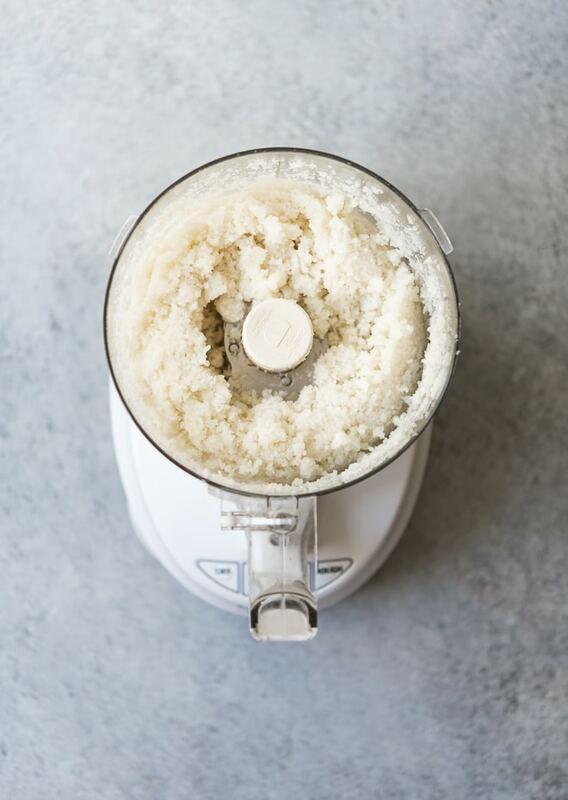 We start with some steamed cauliflower and turn it into rice with a food processor. Then simply add the remaining ingredients into a large bowl before forming the tots. Bake on a parchment lined baking sheet and that’s it! Ava totally loved these, Zoe not so much. But I’ll take 1 out of 2! I hope you guys love these, and feel free to get creative with your flavors. 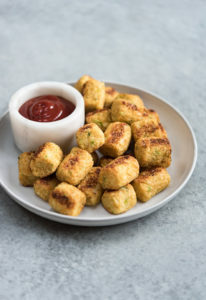 These Easy Cauliflower Tots are the perfect baked bite-size appetizer, made with fresh cauliflower, scallions and parmesan cheese. Preheat oven to 400 degrees. Line a baking sheet with parchment paper and set aside. 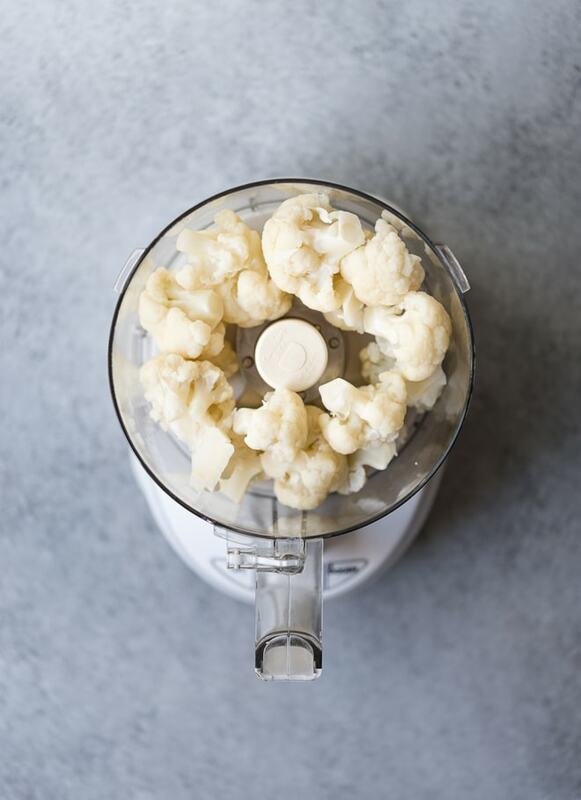 Add the steamed cauliflower to the bowl of food processor. Pulse until rice-like. You don't want to over process the cauliflower, it should still have some texture. Add to a large bowl with the rest of the ingredients and use a fork to mix until well combined. Scoop the mixture (I use a mini ice cream scoop, to keep it consistent), and form the tots by pressing mixture together in your hands. Place on baking sheet and bake for 20 minutes, then flip and bake for 20 minutes more. Serve hot with ketchup or your favorite dip! These look so good! Do you think it would work to use pre-riced raw cauliflower (like the type in the produce section of TJ) – and maybe microwave it for a little bit to replicate the steaming step? (Because a) I have that riced cauli in my fridge right now, and b) I am lazy and hate cleaning my food processor). I think it would work fine as long as you someone how cook/steam it like you said!